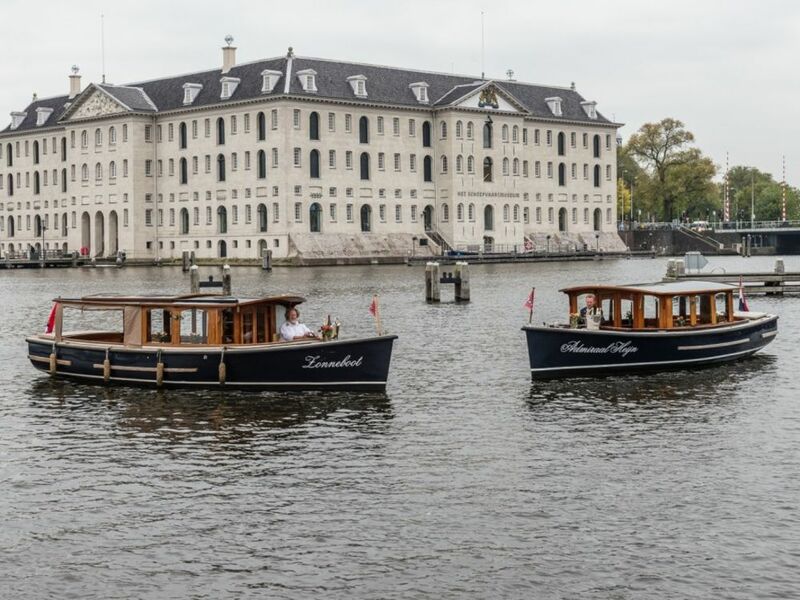 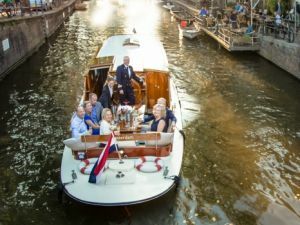 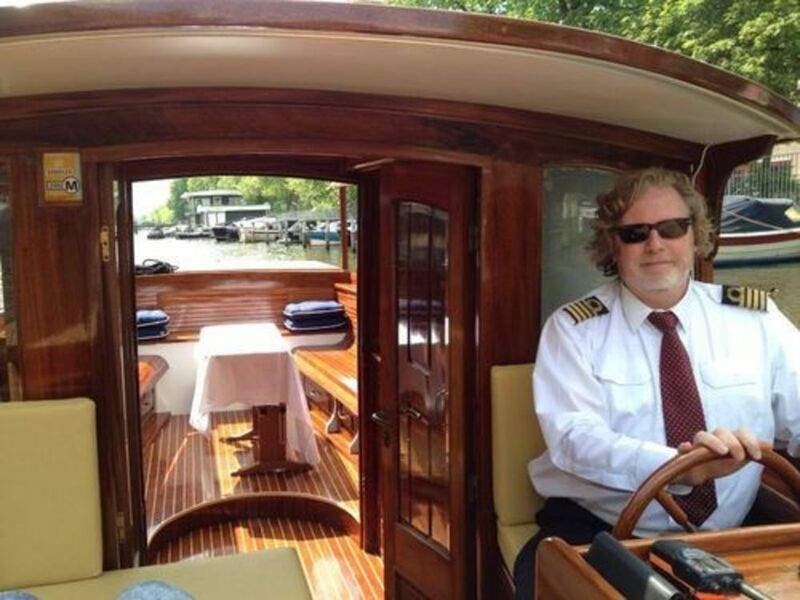 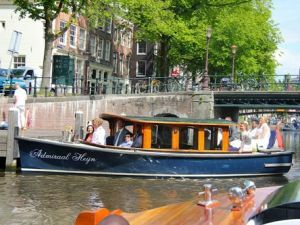 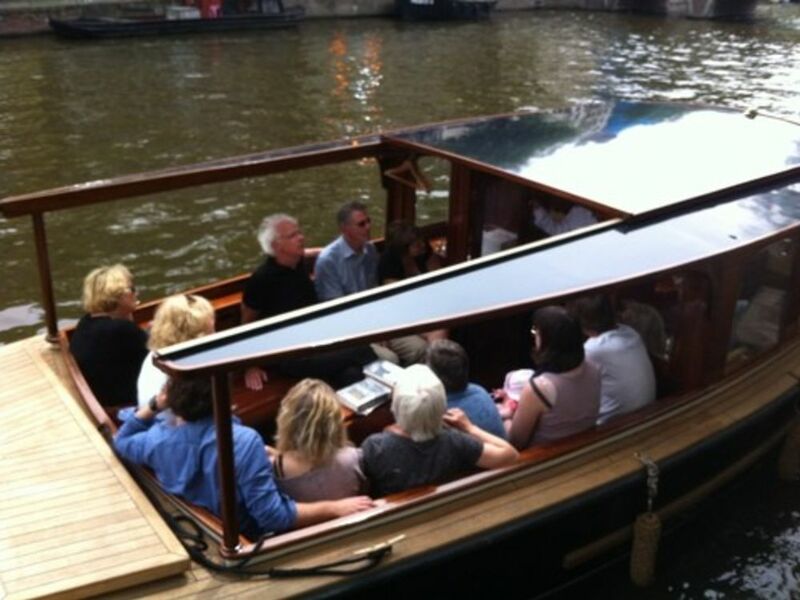 The 'Zonneboot' is the ideal boat for discovering Amsterdam from the canals. 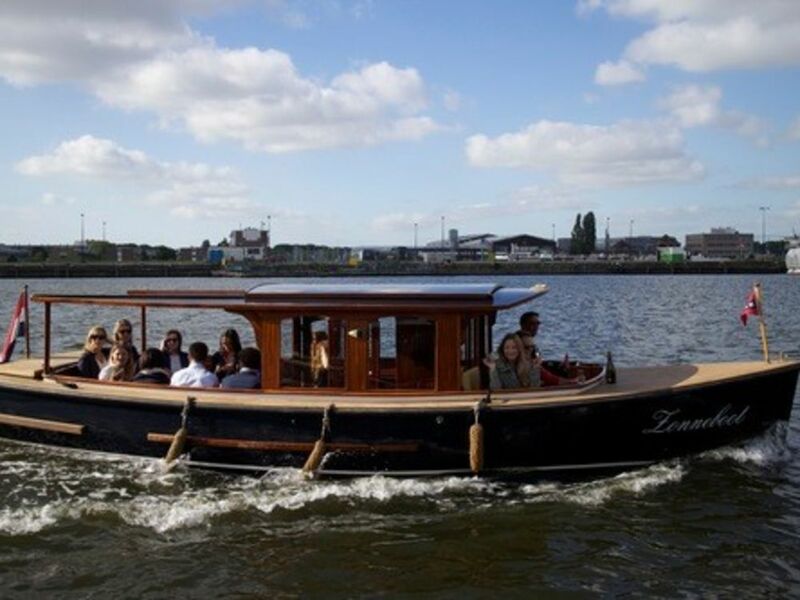 She's a beauty to the eye with her teak wood deck, mahogany saloon and faceted glass windows. 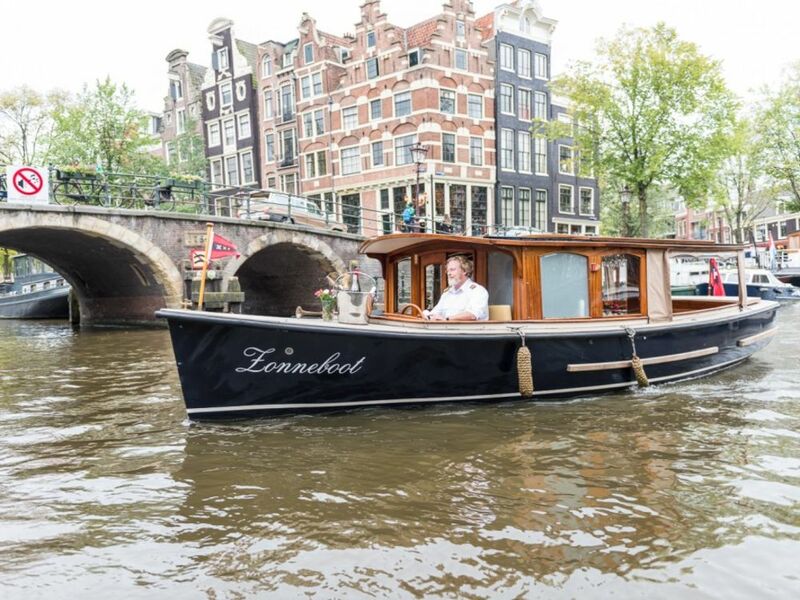 She's comfortable with a spacious toilet and a sun roof which can be fully opened. 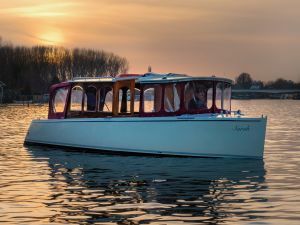 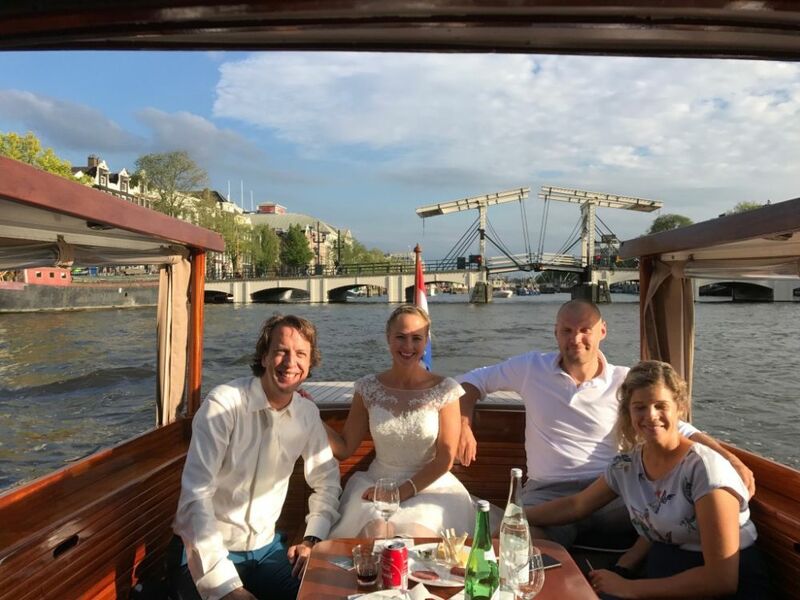 Moreover, she's small enough to sail under the lowest and narrowest bridges and show you beautiful spots of Amsterdam where the regular tourist boats can't bring you. 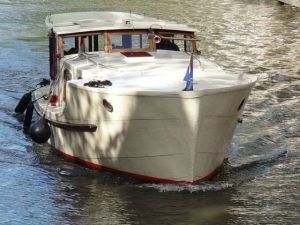 Because of her silent engine without any smelly exhaust fumes you can fully enjoy the surroundings and the food will taste even better.